I'm sure you're all well aware of the fidget spinner craze. Those 3 sided crazy spinny things that are doing the rounds, all the kids seem to have them (apart from mine because Alfie hasn't asked for one, ha! ), if you haven't seen them where on earth have you been? Anyway, there's a new fidget toy on block, step forward Mokuru. 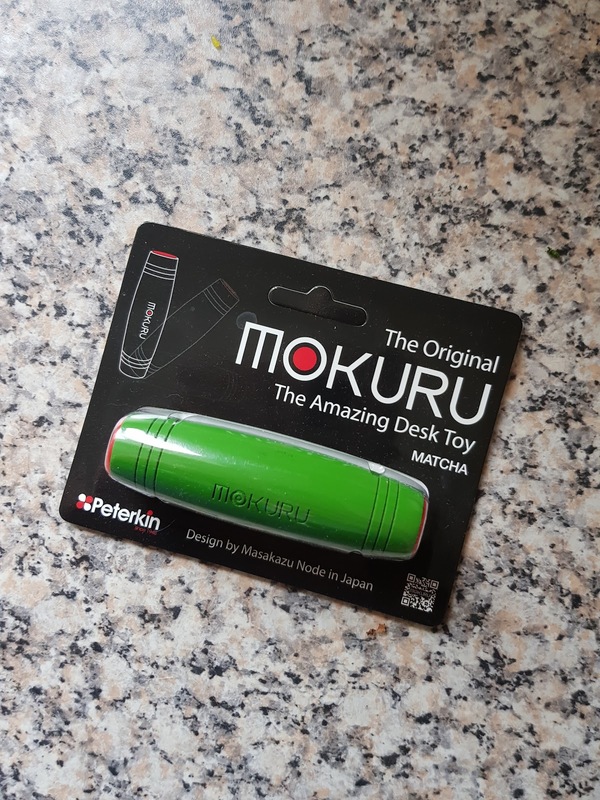 Perhaps aimed more at adults and marketed as a desk toy Mokuru is the interactive wooden toy to flip, roll and do tricks with. Crafted from beech wood these simple toys have endless possibilities. Once you start flipping and pushing these little wooden toys you realise that they are quite addictive. 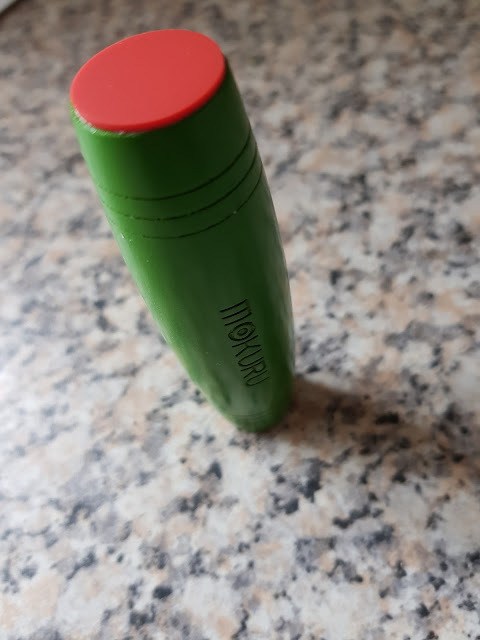 To get Mokuru to move you simply tip it and it will flip, although saying that it's not as easy as it sounds. I have spent alot of time trying to do more than just the basics and not advanced much, ha! However my husband is a bit more a dab hand at it, but then he loves things like this. Luckily, there are several videos over on the website with lots of demonstrations on how to use Mokuru and how to advance from the basic level to the more complicated tricks. 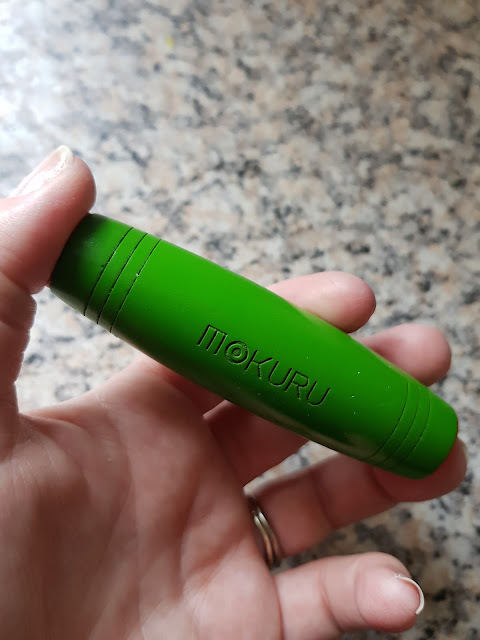 If you go and have a look at the website you'll see that some of the videos show using more than one Mokuru, crazy hard.....I suggest you start of mastering how to use just one before using two or more Mokuru! 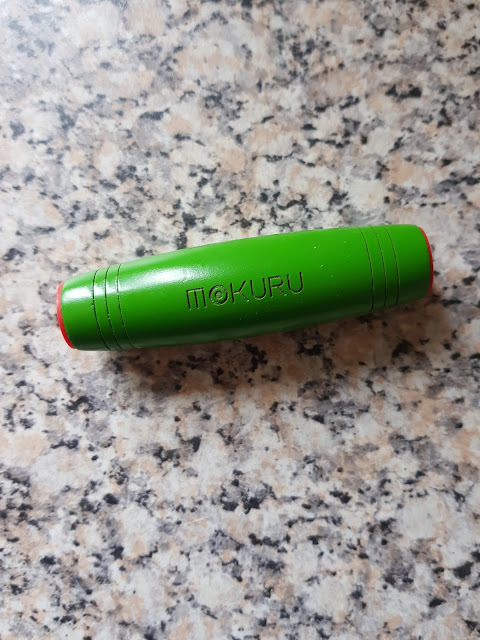 So if you like the look and sound of Mokuru then you'll be pleased to read that I have 2 to giveway! Entry is via the Rafflecopter below, UK entries only please. Sadly I can't give you a specification in what colour you'll receive but I promise they are all lovely! Please leave valid contact details and emails/twitter accounts that are used regularly as I'll be contacting the winner via these means. All that remains to be said is lots of good luck! This looks really interesting, my son loves his fidget spinner and fidget cube. I think he would really love this. Good to know about this gadget. Although I have never used it yet, but I think it will make things good for me. I think they're an improvement of the fidget spinners! Yes, it looks like fun. I can certainly see their addictive qualities as there are so many different tricks to master. Yes I love the look of these, I think my children would have lots of fun with them. These little things looks so fun and addictive! I think my little girls would love it too. They look very addictive! The colours makes you just want to hold them! It looks like lots of fun. I just know our son would love it. They look fascinating, I'm sure it would keep me occupied for hours, I might even let my grandchildren have a play. Yes, I'm always fidgeting with pens but this looks like more fun. me personally no, but I know my son is wanting one as he has been going on and on about them. I think my son would really enjoy this little gadget! Perfect for keeping fingers busy!!! I do yer, i think my little boy would love it! looks interesting im sure my youner two boys there 12 & 13 would be fighing over this lol. Yes they are good fun, I had one but lost it so this would be fab. Great prize helen thank you. Yes its a nice design! They look like fun and more challenging than the fidget spinners.